Internet Explorer has been the default browser on Microsoft Windows ever since we could remember, but the browser was a nightmare for not being updated, for being slow and for being a nightmare for developers to work on. It gained a lot of negative reputation especially since Google Chrome came out. Microsoft started working with proper dedication to improve Internet Explorer and honestly, Internet Explorer 9 was a good update but it still lagged behind the most modern browsers. Microsoft’s desperation to get people to use Internet Explorer was seen in the small advertisement that you can watch below. Microsoft changed many things with Windows 10 and they also introduced a whole new web browser to win people’s views and I think they did a pretty good job at it. The browser was being developed as Project Spartan but later it was officially announced with a name Microsoft Edge. Microsoft Edge is a pretty good browser and it can easily be compared to the levels of some great browsers in the field already. 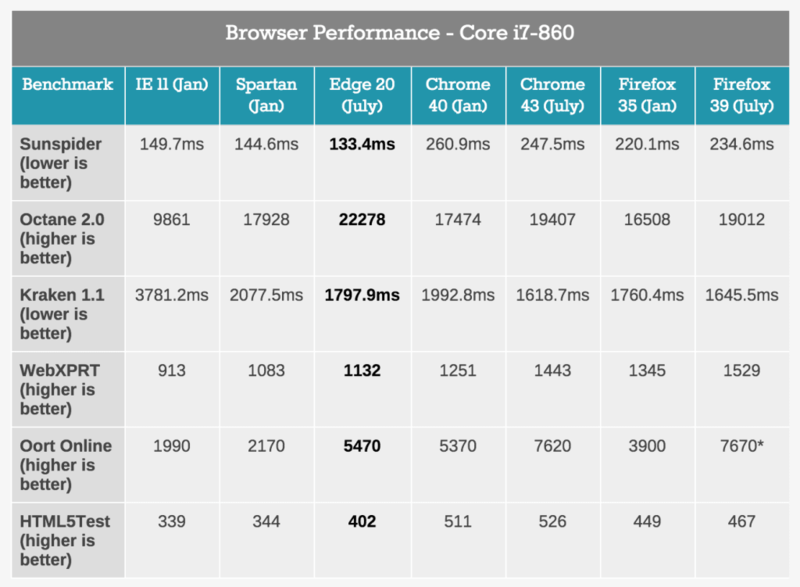 Here is a great chart from Anandtech that shows you the performance metrics of Microsoft Edge browser. But I guess you want to uninstall Microsoft Edge due to some reasons (why..?) so here is a way to do so. Keep in mind that default and preloaded apps cannot be installed normally on Windows 10, but there is another way that you can do so. The guys at Winaero.com have made it a script that you can use to uninstall Microsoft Edge from Windows 10. The procedure is listed below and all you need to do is run the script and rest of the stuff will automatically be done by the script. But seriously, I am curious to know why you want to uninstall Microsoft Edge so please leave your responses in the comments section below. Anyway, the procedure to complete the task is given below. 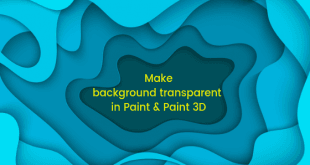 Go ahead and download this ZIP file and extract it at a place you can access easily. Extract it at a place to access it easily. I am going to extract it at my desktop. You will notice that there are two files named Uninstall Edge.cmd and Install_wim_tweak. 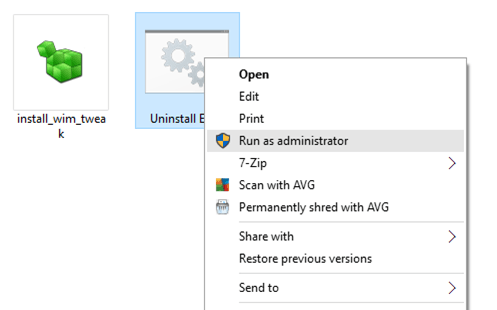 Right click on the Uninstall Edge.cmd file and choose Run as administrator. Choose YES if a prompt comes up. You will be notified by Windows SmartScreen that the app or program is not from a certified publisher. Just click on More info and choose Run Anyway. 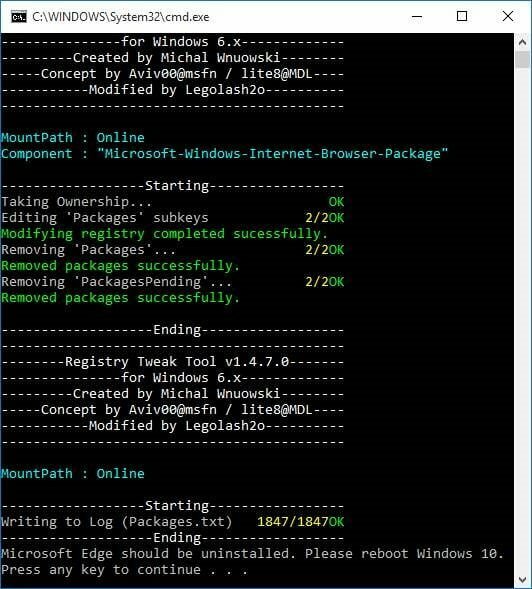 You will notice that a Command Prompt window will pop up and the script will start working. Just wait unless you see a message that reads “Microsoft Edge should be uninstalled. 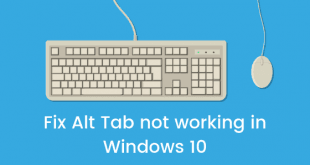 Please reboot Windows 10″. Microsoft Edge should be removed from your PC now. Just restart your PC and you can check that it is gone. 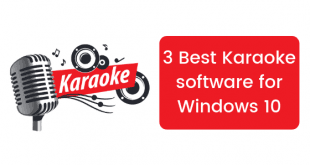 Keep in mind that Edge is a core app of Windows and many programs are bound with it. There might be some glitches on Windows 10 after you remove it. Also, Internet Explorer is also present on Windows 10 so you won’t be left without a browser.